Preheat the oven to 425 and line a baking sheet with parchment paper, folding up the edges to keep keep sauce in. Combine juice from 2 oranges, zest from 1 orange, soy sauce, and honey in a bowl. Whisk well. Pour a few spoonfuls of sauce on the prepared baking pan. Place salmon skin up and pour remaining sauce over it. Bake for about 7 minutes and carefully flip salmon skin down. Spoon some sauce over the top of the salmon. 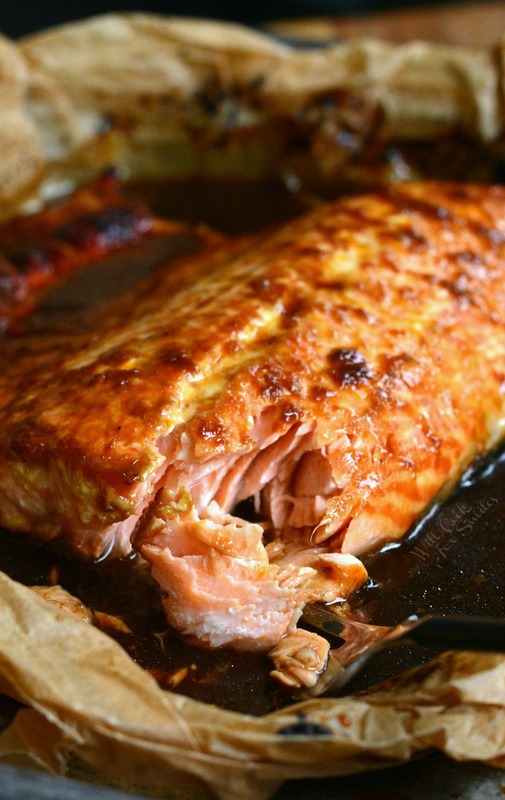 Bake for 18-20 minutes, until salmon is done. Bake time will depend on the size and thickness of salmon filet. Enjoy salmon over rice or quinoa. 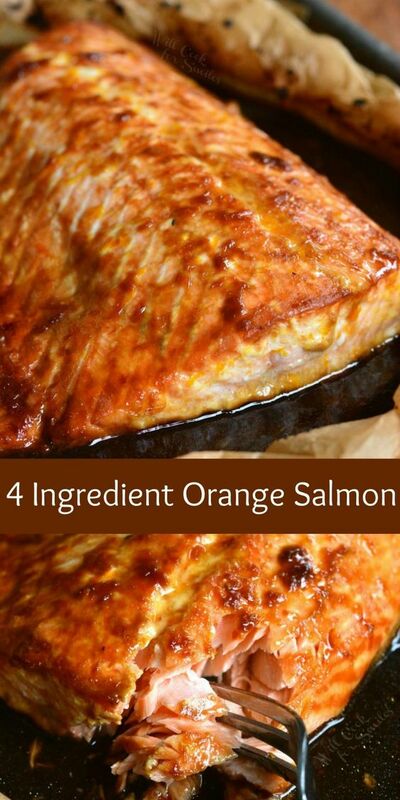 0 Response to "4 Ingredient Orange Salmon"